A great meal for anyone in no time at all…. Who doesn’t love roasted chicken?? Unfortunately most of us get it by stopping by the market on the way home from work….no time. Well that doesn’t have to be the case. 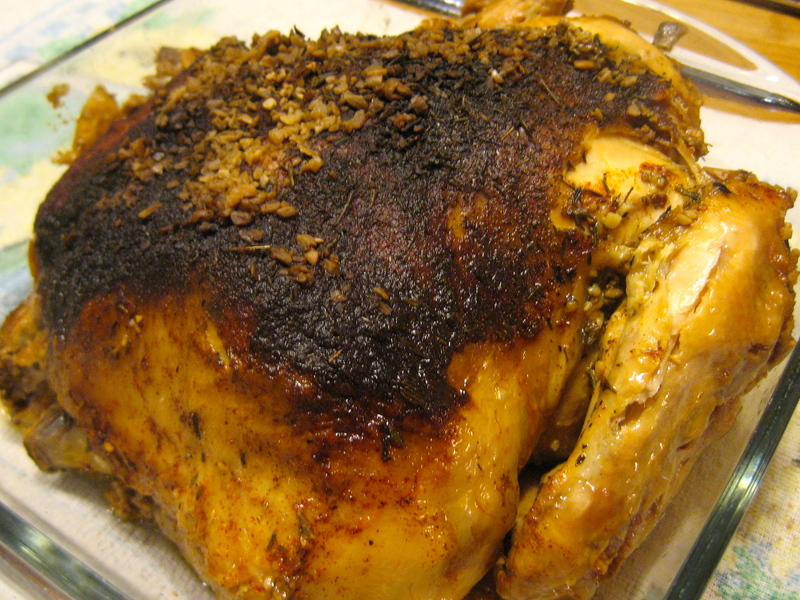 You can get great roasted chicken at home and you probably have everything you need but the bird itself in your house. A great roasted bird can be made in your slow cooker while you are at work and it only takes minor prep so you won’t make you late to your job getting it started. A six quart slow cooker with a built in timer (preferred). Rinse chicken well and pat dry. Trim off excess fat. Place the chopped onion in the cavity of the bird and rub the skin with the butter. Combine salt, thyme, paprika and garlic. Place chicken in slow cooker, pour lemon juice over bird. Sprinkle spice mixture over bird. Cover and cook on low for 8 1/2 hours or high for 4 1/2 to 5 hours. Remove from cooker and let rest for 10-15 minutes before carving. Enjoy! Vary the spices for a new flavor, cracked black pepper and thyme, basil and rosemary, whatever you want. This sounds easy enough. I will have to try it. I’m not much of a cook but think I can follow your instructions. I know you will do fine. Jim made this and it was great!